If you’re as big a fan of writer/genius Aaron Sorkin as we are here at The Flickcast, this news will make you very happy. HBO has picked up Aaron Sorkin’s hourlong cable news network pilot and will take it to series. 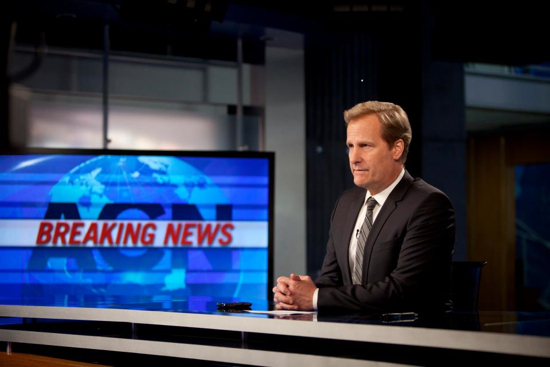 In case you haven’t been following the developments of this show, it is as yet untitled (but used to be called More As This Story Develops) and centers on a cable news anchor (Jeff Daniels), his new executive producer (Emily Mortimer), his newsroom staff (Alison Pill, John Gallagher Jr, Olivia Munn, Dev Patel, Thomas Sadoski), and their boss (Sam Waterston). In true Sorkin fashion this ragtag team of individuals gradually comes together as they explore the world and the news taking place around the, and, in some cases, right in front of them. The number of episodes is yet to be determined but it is generally believed to be at least 10. This is great news but not really that surprising. Sorkin is a well known commodity and coming off an Oscar win for The Social Network so it’s not hard to believe HBO would be interested in working with him. It’s also a great deal for Sorkin as well as he can finally have a series on a newtork where ratings are not all that important. Sems like a good fit and we can’t wait to see the show.